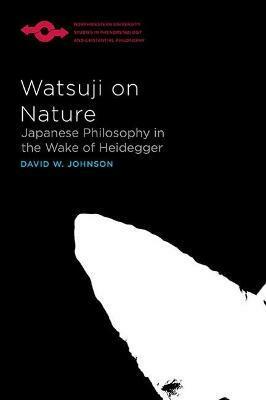 In the first study of its kind, David W. Johnson's Watsuji on Nature reconstructs the astonishing philosophy of nature of Watsuji Tetsuro (1889-1960), situating it in relation both to his reception of the thought of Heidegger and to his renewal of core ontological positions in classical Confucian and Buddhist philosophy. Johnson shows that for Watsuji we have our being in the lived experience of nature, one in which nature and culture compose a tightly interwoven texture called fudo. By fully unfolding Watsuji's novel and radical claim that this is a setting that is neither fully external to human subjectivity nor merely a product of it, this book also sets out what still remains unthought in this concept, as well as in the relational structure that underwrites it. Johnson argues that what remains unarticulated is nothing less than the recovery of a reenchanted conception of nature and an elucidation of the wide-ranging implications of a relational conception of the self for questions about the disclosive character of experience, the distinction between fact and value, and the possibility of a place-based ecological ethics.